George Lloyd Jones, Born in Bristol, 1992. After a creative upbringing George graduated from the University of Brighton's Fine Art Painting degree in 2014. Since then he has shown most notably with the John Moors collection, Ruth Borchard self portrait collection & featured as an 'Emerging Artist to watch' by Artists and Illustators Magazine 2017. 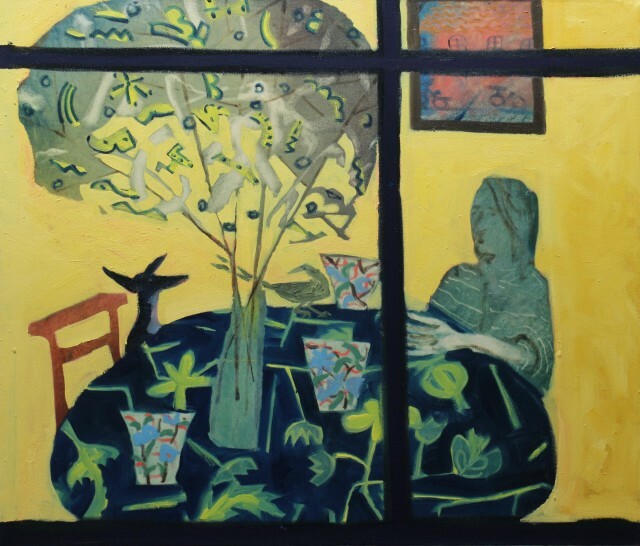 George's paintings explore his world through atmosphere, composition and energy. Bold colours and shapes slide between the figurative and abstract creating rhythmic compositions. He is a painter who works obsessively in pursuit of his own language and this same determination has seen him create a travelling studio that enables him to be fully immersed in the environments from which he takes inspiration. George Lloyd Jones is the youngest artist to join Ffin y Parc Gallery and will have his first exhibition with us in October 2019.